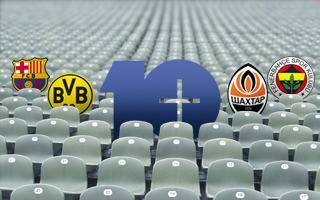 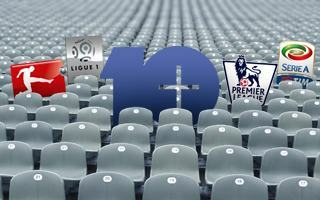 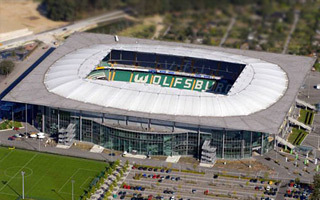 New stadium for 1. 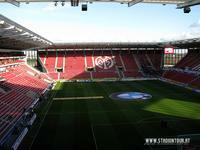 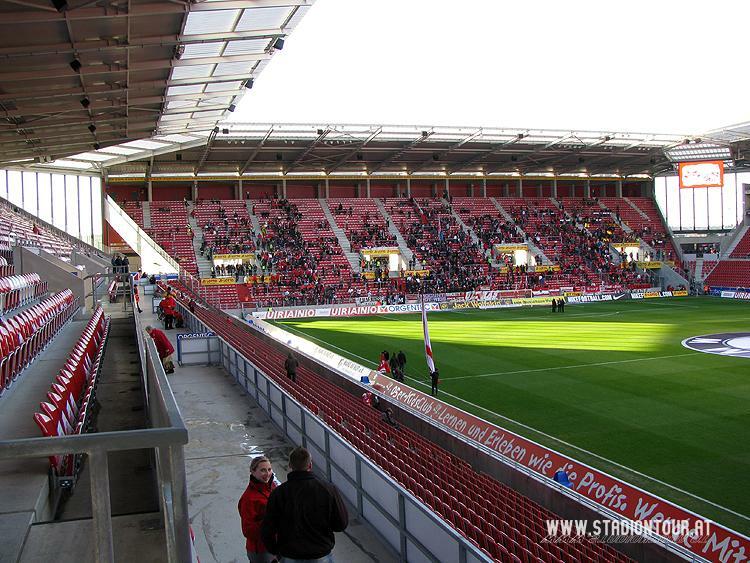 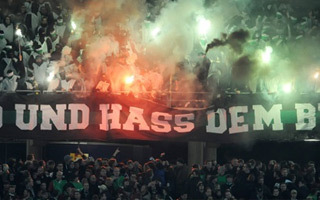 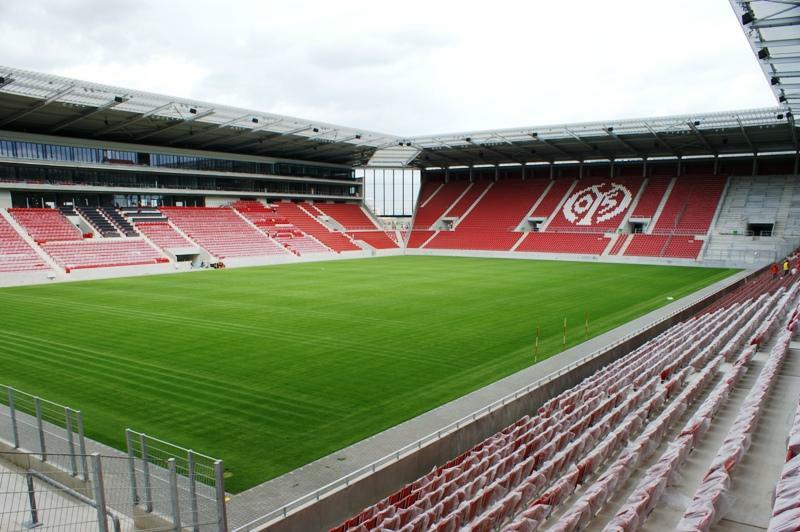 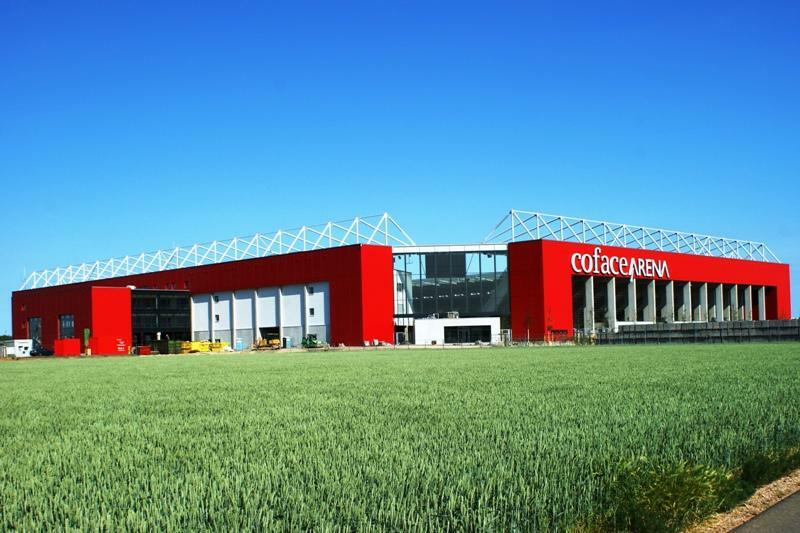 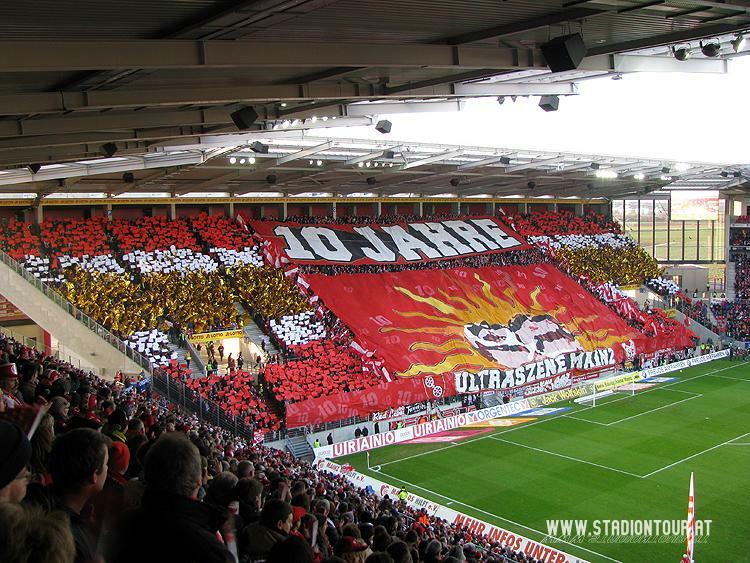 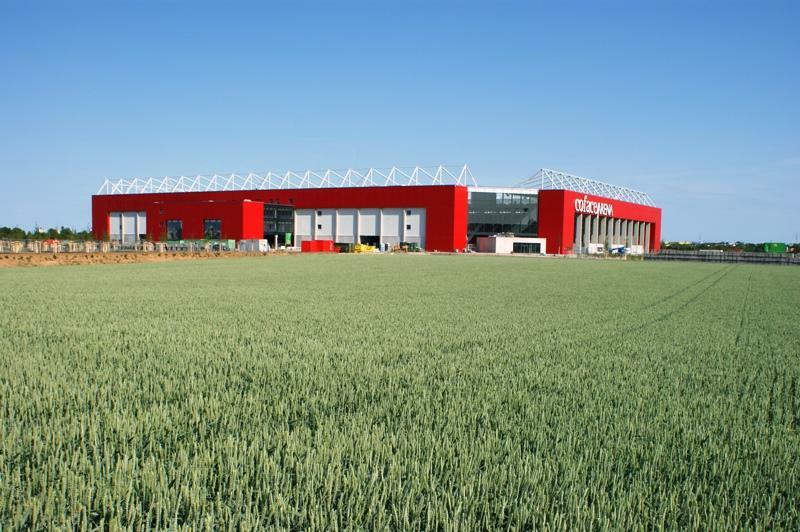 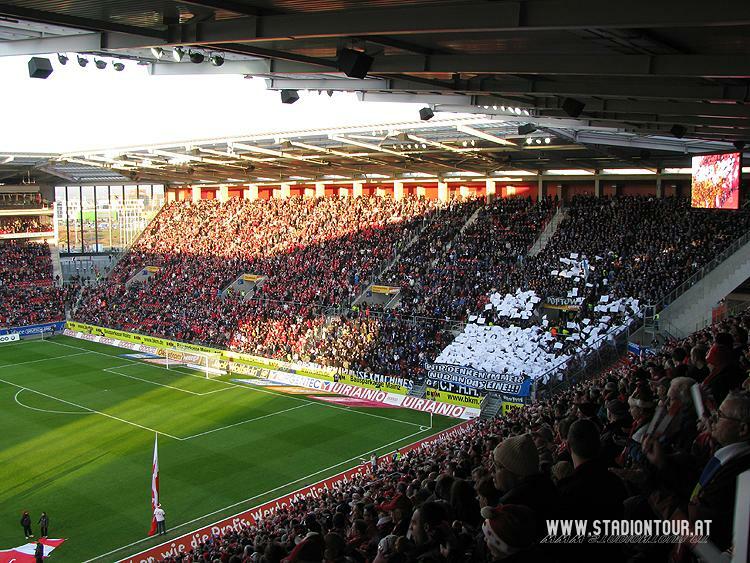 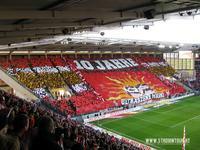 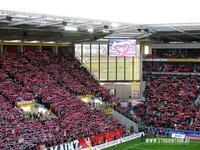 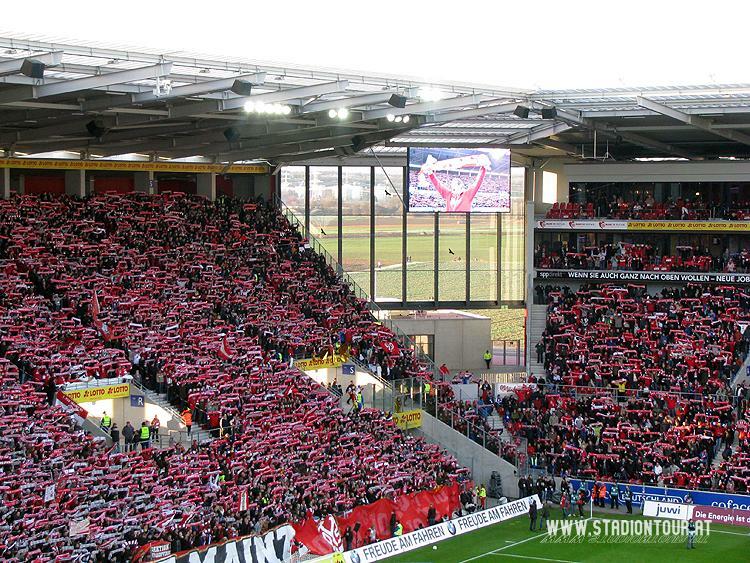 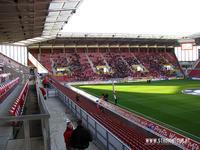 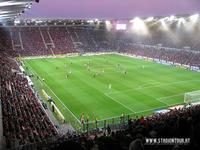 FSV Mainz was built literally in the fields, which in this case means that authorities have chosen the plot of land closest to the previous ground – Bruschwegstadion. 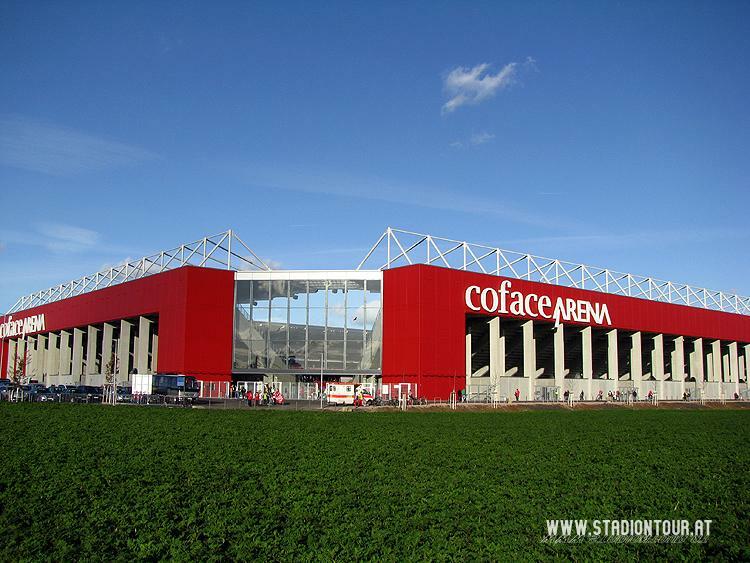 The new one was announced to be very cheap with budget at some €40mln, but in the end it rose by another €20mln, which still sounds reasonably, compared to other venues of similar size. 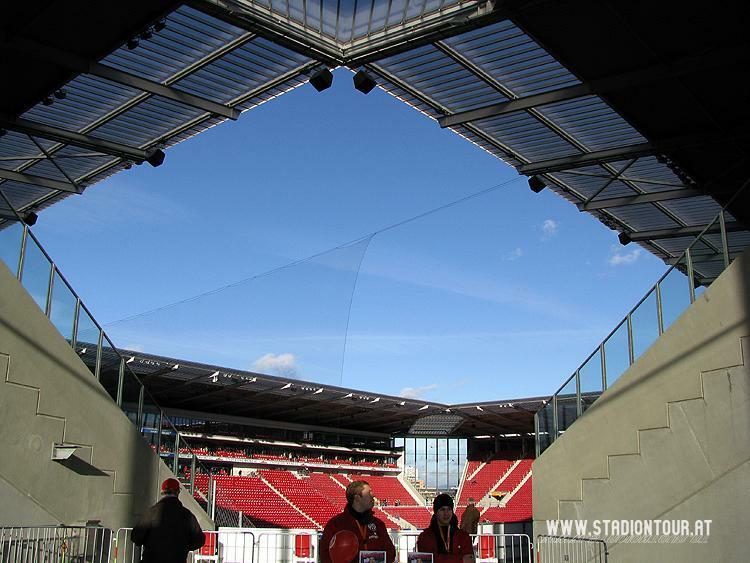 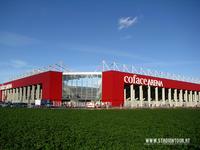 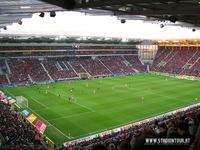 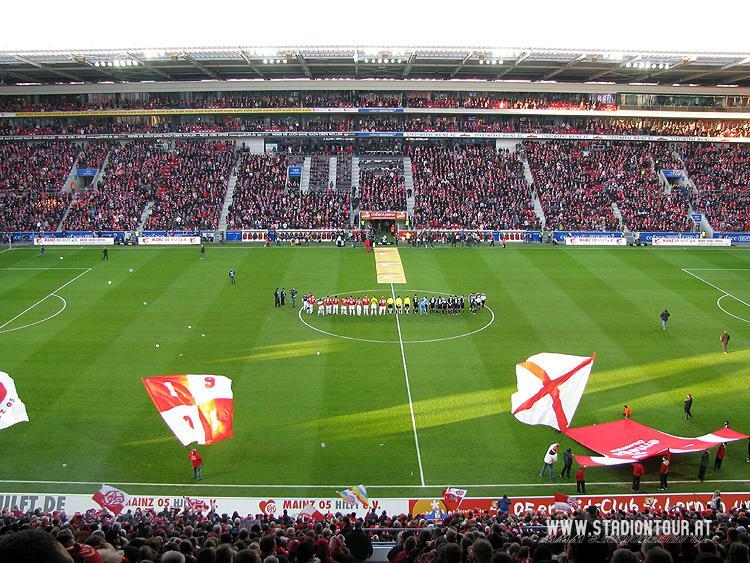 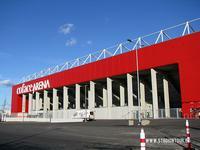 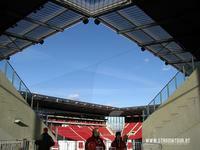 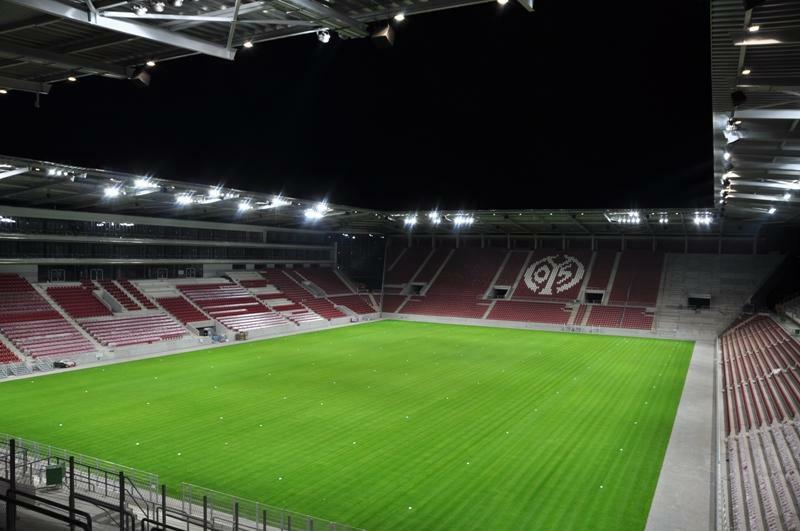 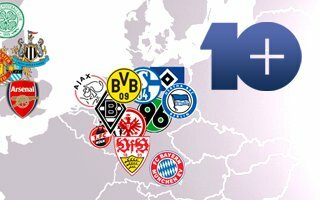 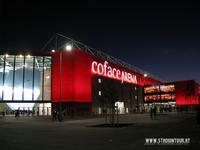 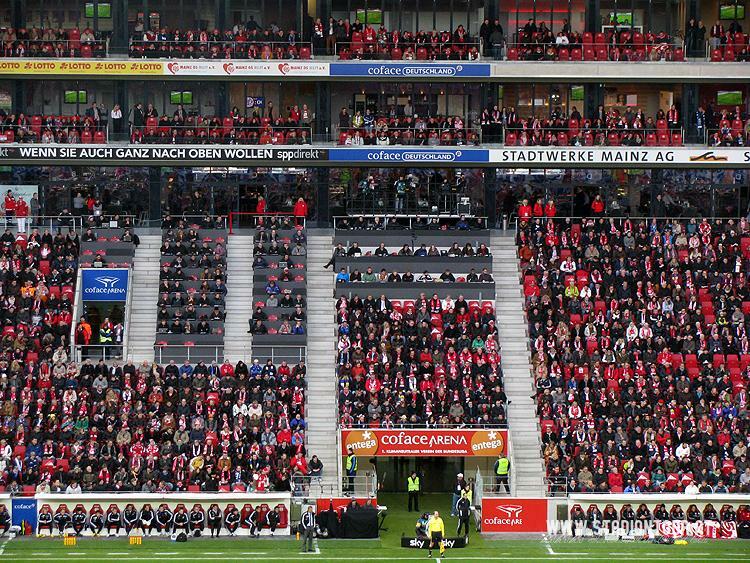 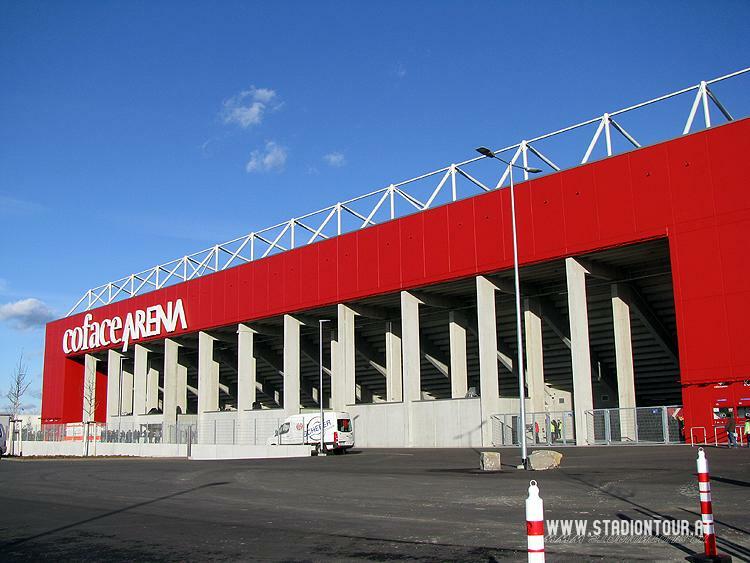 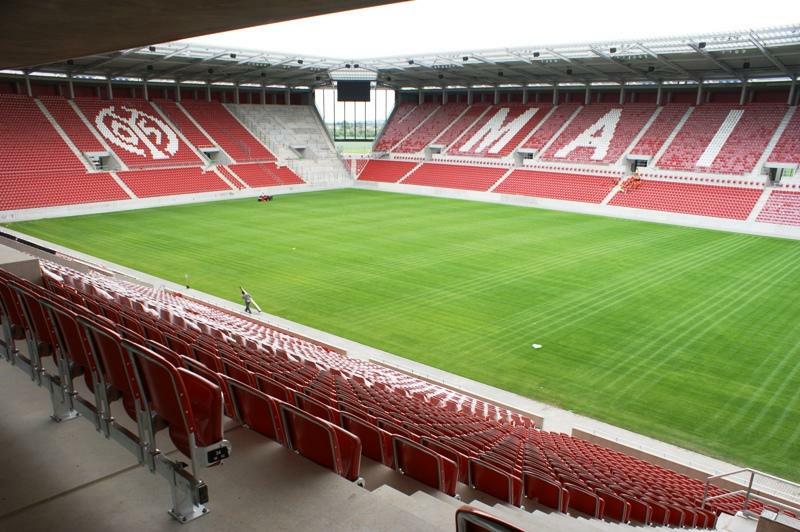 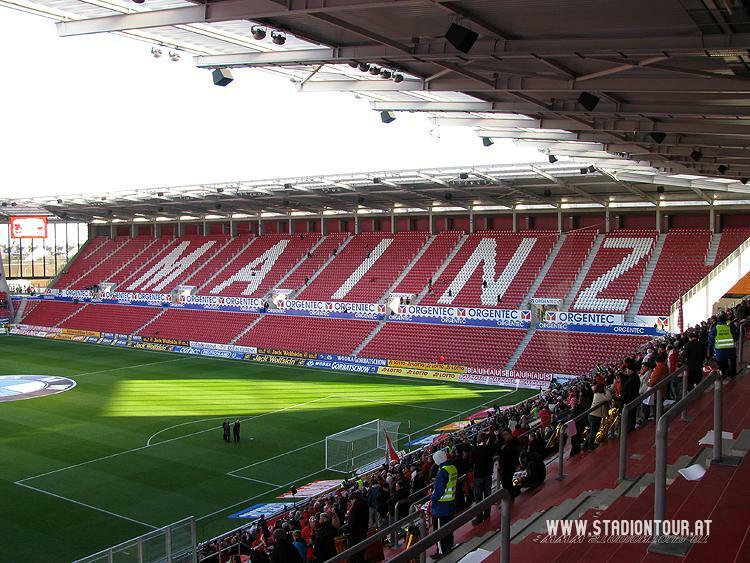 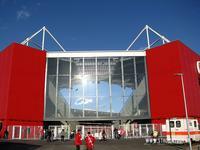 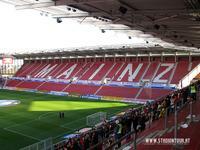 German city of Mainz received a modern stadium with four independent stands, connected solely by the glass covering of facades and roof, as well as by a promenade around the venue. 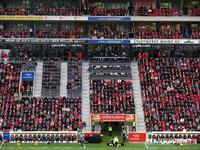 Single-tiered stands accommodate some 34,000 people, of whom 14,000 can buy affordable terracing tickets, changed into seating for international games. 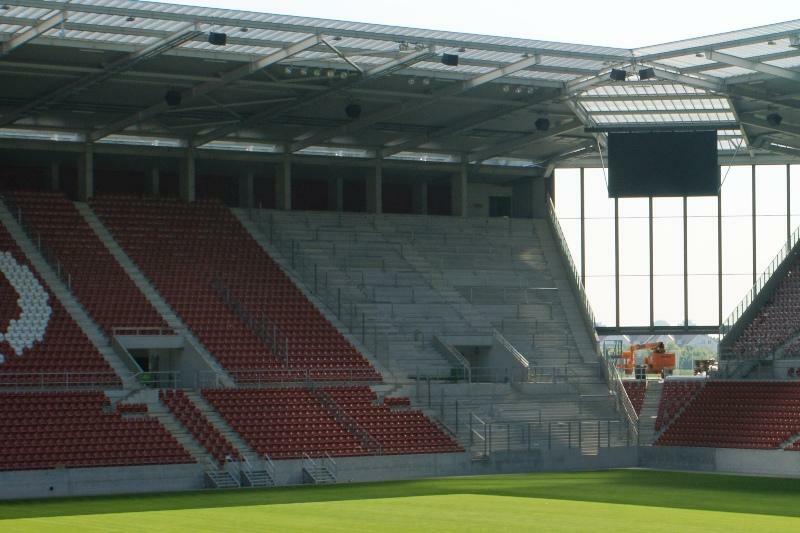 There are also quite a few business seats with 2,100 of these premium allocations at the main stand and another 650 in skyboxes above it. 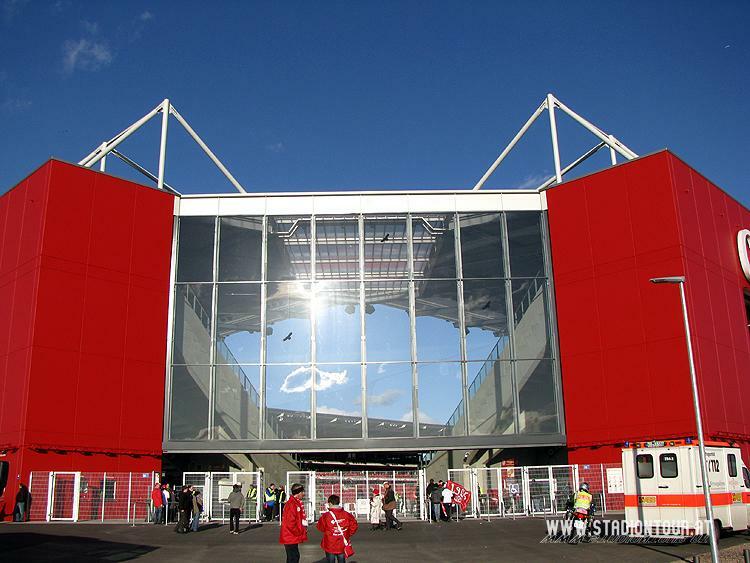 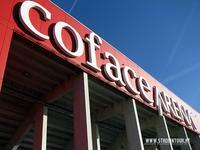 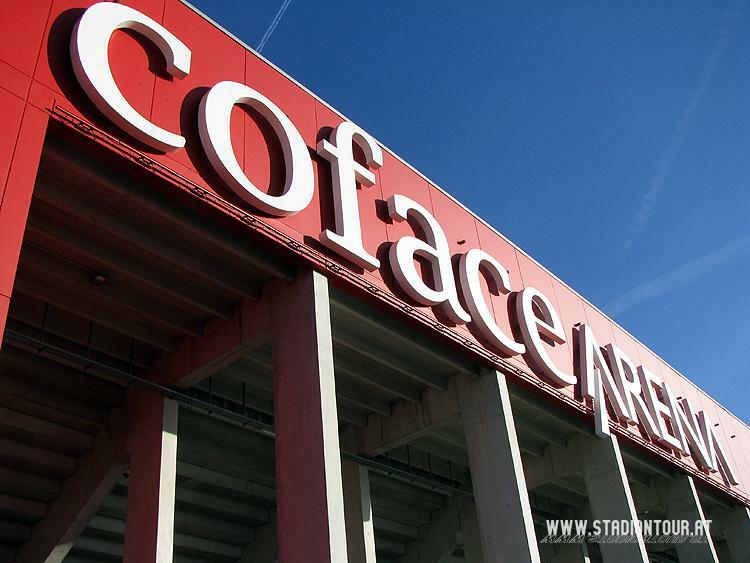 In terms of aesthetics the most important features are massive red “frames” that enclose each stand from the outside. There elements are also the ones illuminated at night, building a distinctive image for the stadium.